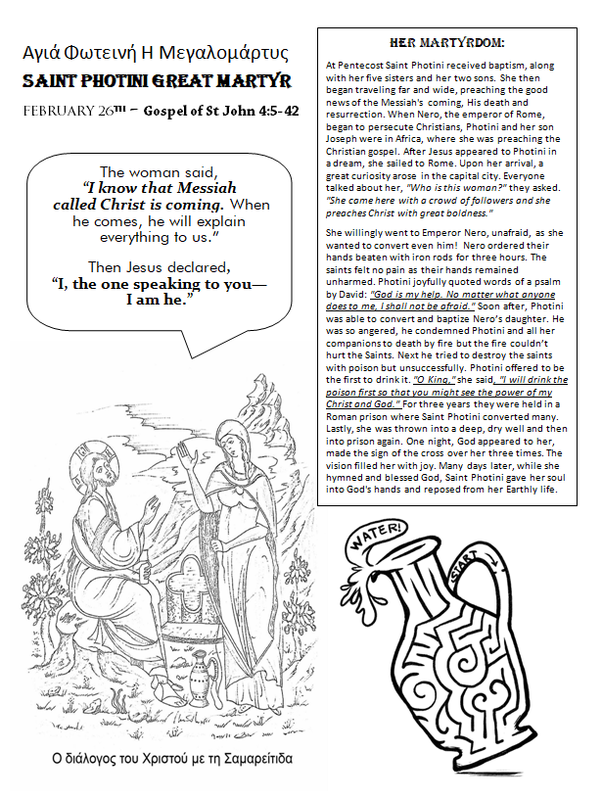 Here you will find a worksheet to download for our Orthodox Christian Journal Project on a beloved Saint, Photini, the Samaritan Woman at the well whom the Orthodox Church commemorates on February 26th. most important because it records Jesus Christ confessing Himself to be the Messiah for a Gentile, in particular. 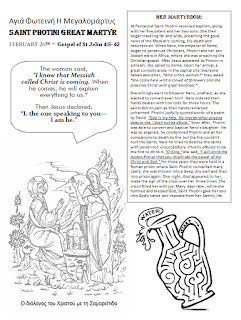 Often, people outside the faith ask, "Well, where exactly does Christ say that He is God?" We can point to Matthew 11:11. In her life, we find fertile ground to receive Christ and where the ground is ready, the seed will be planted to bear much fruit! 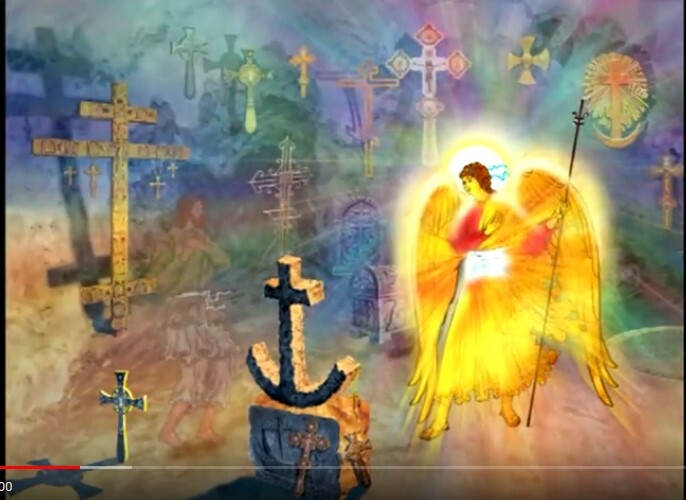 She went on to be Equal-to-the-Apostles in her courage to proclaim Him to the world, as well as, ultimately a Great Martyr around the year 66 A.D.